From the 1960s to the present day, this guide explores the most interesting, innovative and entertaining titles of the medium. Videogames are one of the most culturally, socially and economically significant – not to mention pervasive – media forms. The global videogames industry is worth billions of dollars and growing year on year as it releases yet more innovative products that synthesise cutting edge technology, ease of use, accessibility and, most importantly, fun. It is hardly surprising then that every day, millions of adults and children around the globe dedicate countless hours to exploring virtual worlds, assuming alternative identities and engaging in digital play. Yet for all this, there is relatively little critical discussion of videogames and they remain the poor relation of contemporary media criticism, leaving those new to videogames struggling to find information about key titles and the cognoscenti hungry for insight into their favourite titles. 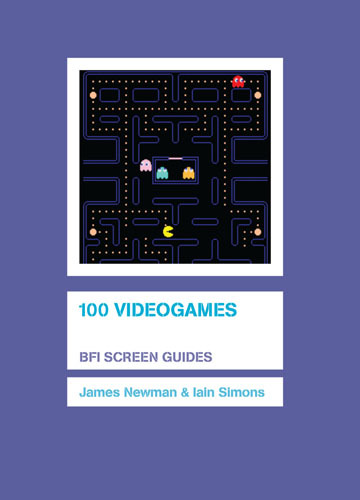 James Newman and Iain Simons' guide provides a map of the most important games from the 1960s to the present day that will satisfy both novices and acolytes alike as it journeys through the most interesting, innovative and entertaining titles of the first 40 years of videogames.